Hotel Raaj Bhawan reflects a glimpse of a home, which makes it elegant and charming, with a beautifully decorated welcome desk that will make you feel more than welcomed. The interiors will give you the feel of the southern culture with its sober walls and an overall peaceful vibe. The rooms are spacious and flaunt huge windows which makes sure your room is always fresh and well-ventilated. 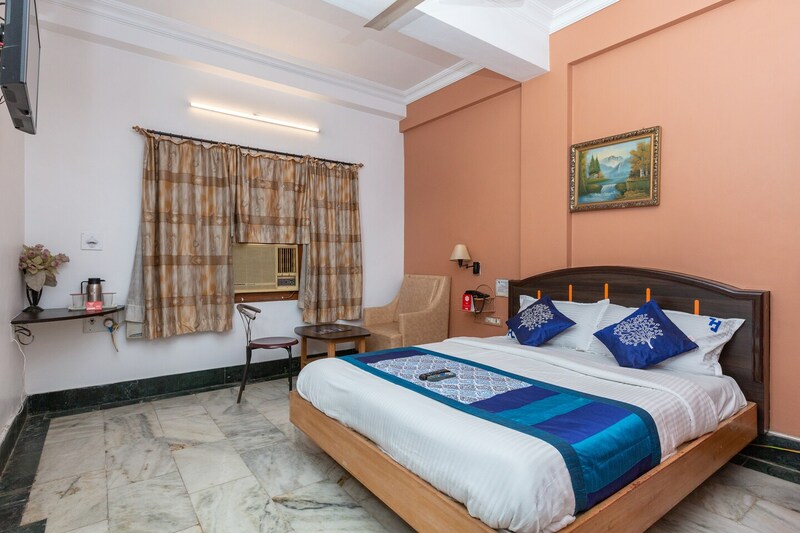 Each bed is provided with plush cushions which brighten up the room. The washrooms are well-kept and equipped with essential amenities. The property also has an in-house restaurant serving delicious meals to the guests. With free wi-fi, laundry and power backup, this place is definitely worth a stay.